Program Description: Over the past several years Kaspick & Company has been fielding more questions from our charity/clients about gifts involving LLCs and other businesses. Gifts of business interests and gifts directly from business entities can be challenging but they tend to be large and rewarding too. In this session we will discuss valuation, transferability, tax pitfalls and road blocks that can arise with such gifts. I hope to hear from attendees about their experiences working on these gifts, as well as share back with you some of what I am seeing in working on these gifts. In the end, it is my hope that attendees will feel more confident in discussing these complex gifts with potential donors and have the tools necessary to evaluate them from both the charity's and the donor's perspectives. 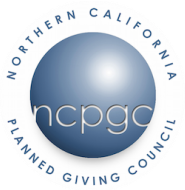 Program Description: This session will cover the latest developments in the field of charitable gift planning, including: donor-advised funds; California taxation of CRTs; the prudent investor standard and Mission Related Investing; enforcing pledges, CRATs and the 5% probability test, and more.